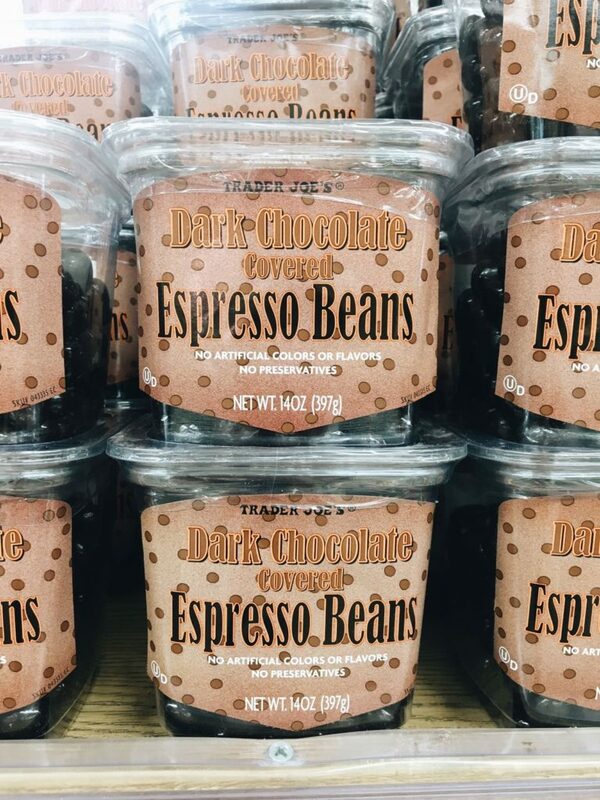 18 Favorite Trader Joe’s Items + Grocery Shopping Tips! Haaaaay friends! 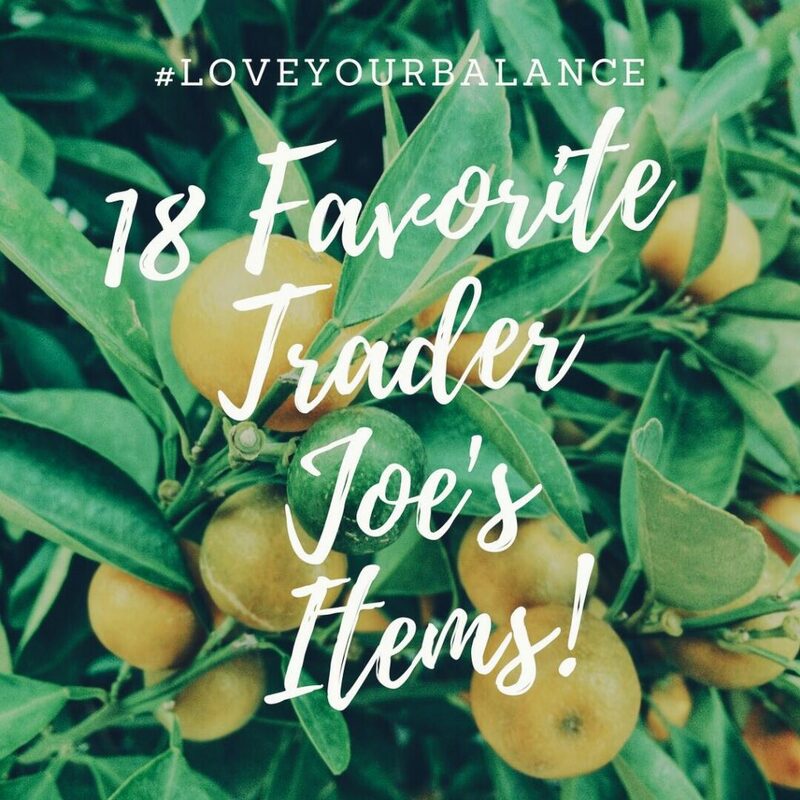 Today for #loveyourbalance, I’m sharing my 18 Favorite Trader Joe’s Items! Did you know one of my favorite things of all time is to grocery shop? I’ve loved it even when I was a kid! I remember pushing around my little tiny cart and putting in cereal, granola bars, ice cream and all the goods all before my parents inevitably put everything back in its place. Go in with a list. You can download apps of most grocery stores (I frequently check the Harris Teeter and Aldi apps) to see what sales are happening. They change every Wednesday. Going in with a list ensures that you won’t buy unnecessary items. Shop the sales!!! Use coupons and embrace the old lady you are by looking at the sales paper before you begin browsing. Have fun! Don’t be afraid to buy new things. Most places will do returns if you absolutely hate it. 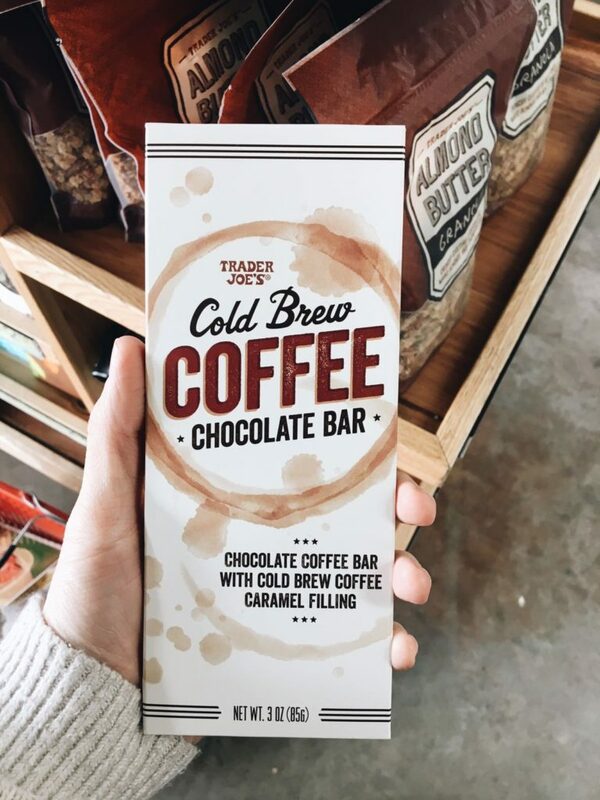 Today, I wanted to share with you a few of my top items from one of my all time favorite grocery stores – TRADER JOE’S. I always love seeing people do Trader Joe’s hauls. They always have such interesting products there that you wouldn’t be able to find anywhere else. Not to mention, all of their items labeled with their name on it are non-GMO! Which is awesome because this grocery store is also SUPER affordable. Ok, it’s not like, as affordable as Aldi – but it’s a bit cheaper than Whole Foods. Basically it rests right in the middle of those two – a quirky, fun grocery store with the best customer service you will ever find. I included produce, cereal, spices, desserts and lots of other things in this haul. 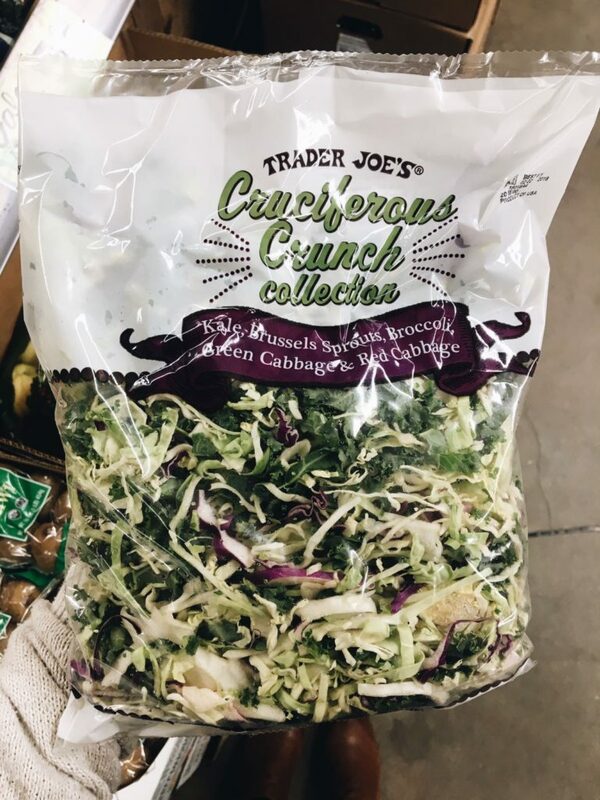 The Cruciferous Crunch Collection! I had to add some greens in this haul for some balance! I love this mixture. As you can imagine, it’s super duper crunchy, fresh and makes an amazing homemade slaw. 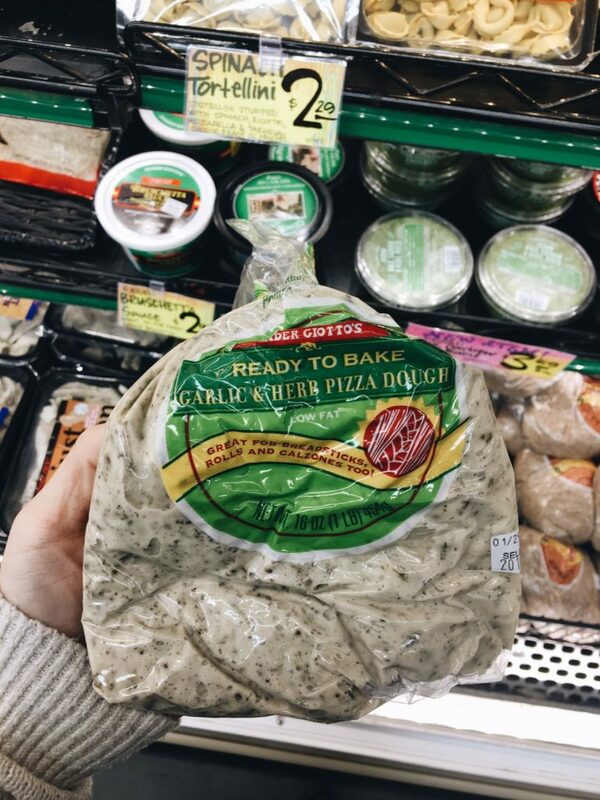 This is the best pizza dough of all time. It’s delicious and pre-seasoned with alllll the spices! Not to mention it’s vegan and super cheap! 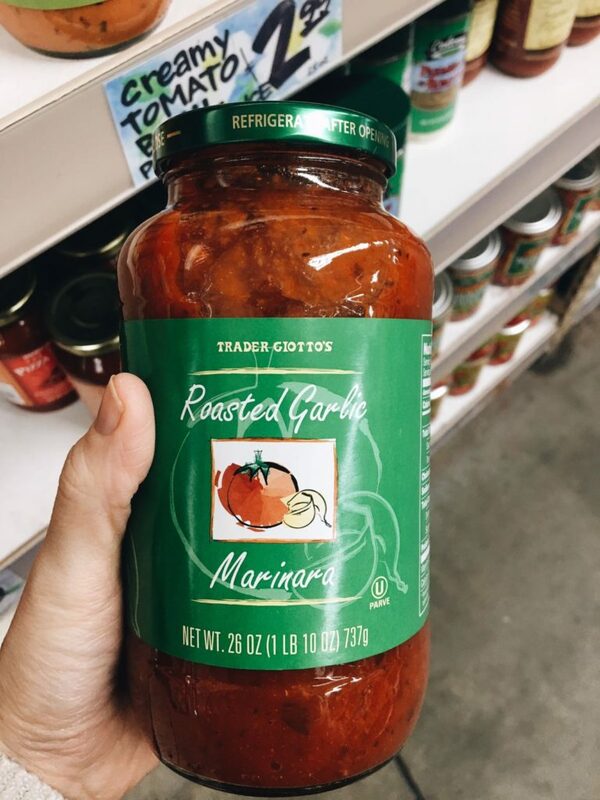 I’m pretty sure this is only $1.29 – which means it would be great to grab some and freeze a few to stock up for those Saturday pizza nights! Ohhhhh. Childhood throwback. This stuff is sugary GOLD. It’s crunchy and it’s just like how you remember as child, you know, when you would have like 3 bowls while you were watching cartoons. 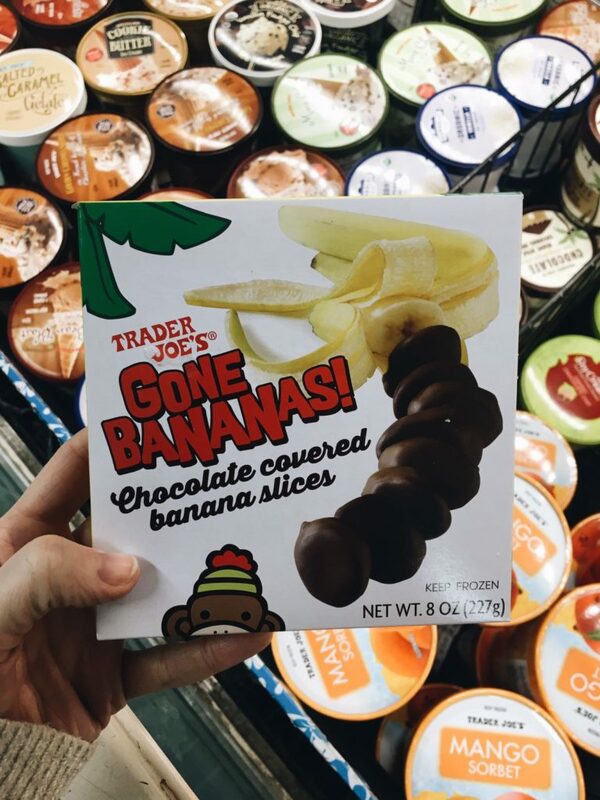 This has fewer ingredients and since it’s a TJ’s signature product, it’s non-gmo! Win win. Y’all already know how much I love this spice. I even dedicated an entire recipe to it! 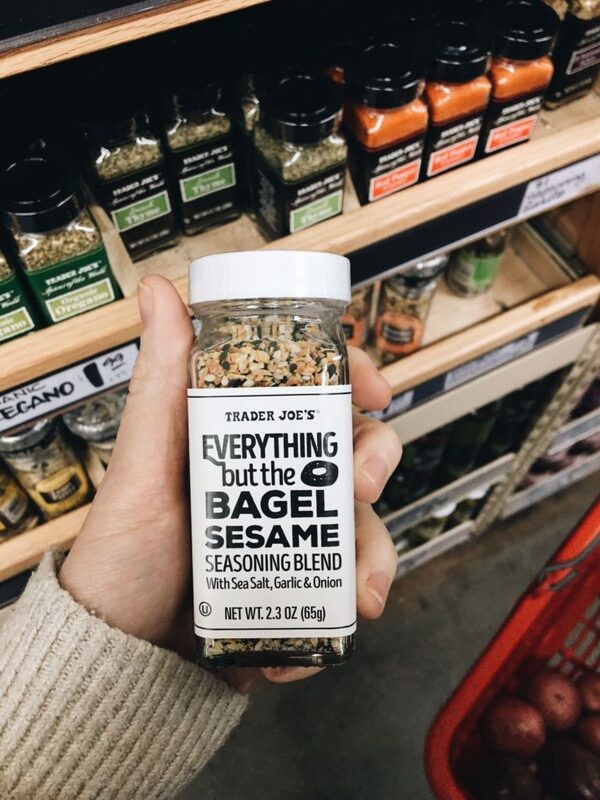 This tastes JUST like an everything bagel. Minus the carbs. It’s glorious. And it’s only $1.99. You should go buy it now. 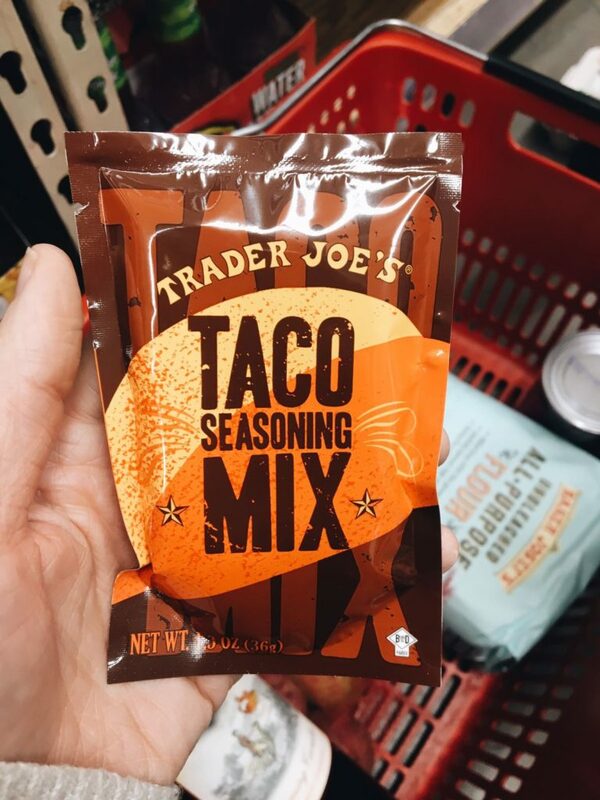 Another awesome spice must have is the taco seasoning mix! For only .79 cents, you get a full bag of this stuff which usually lasts me at least a month. It’s flavorful and even a little spicy! This is some of the best canned sauce you can find. It has no added sugar (score!) and y’all know how much I love roasted garlic! The flavor is spot on. 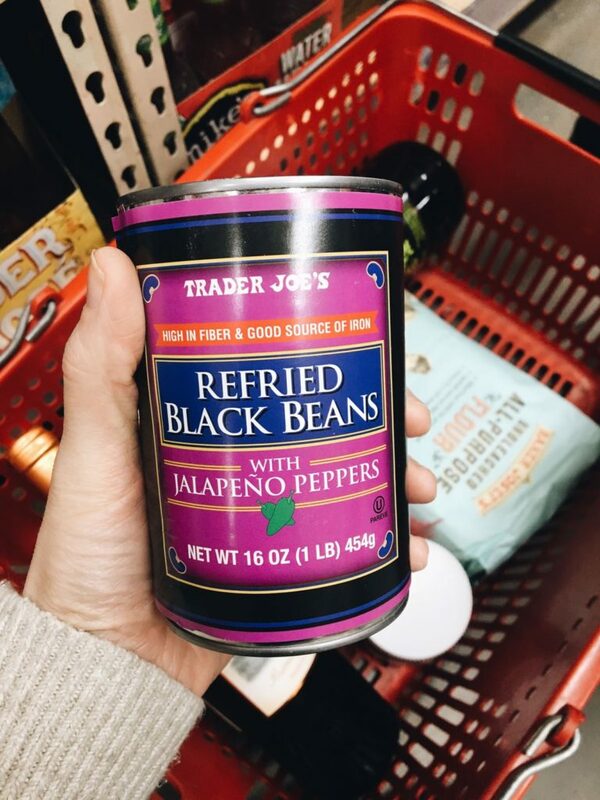 Speaking of canned things….this beans are THA BOMB. They’re extra creamy, rich and full of spiciness! Do yourself a favor on your next Taco Tuesday and pick these babies up! This is one of those rare hidden gems. 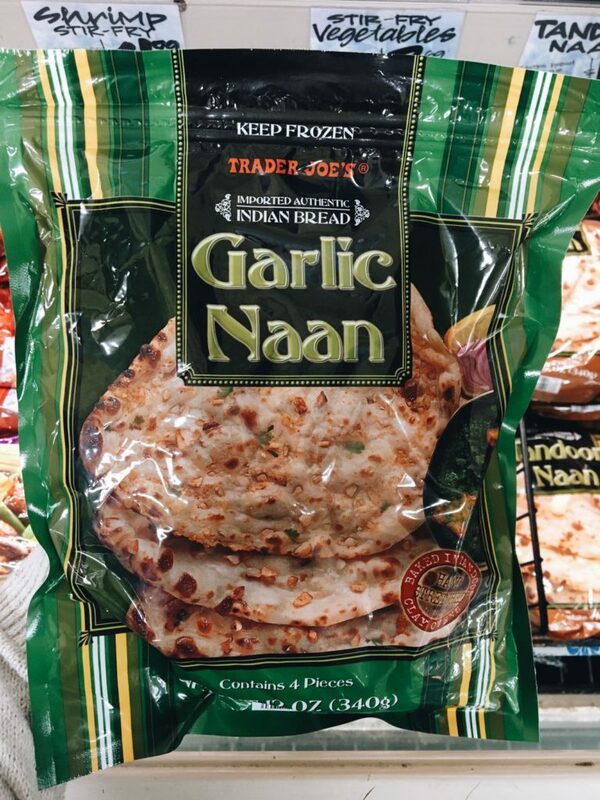 These are found in the frozen section and you get 4 pieces of naan, I REPEAT, 4 PIECES OF NAAN, for only like, 2 bucks. It’s amazing. And the garlic flavor will make ya swoon. 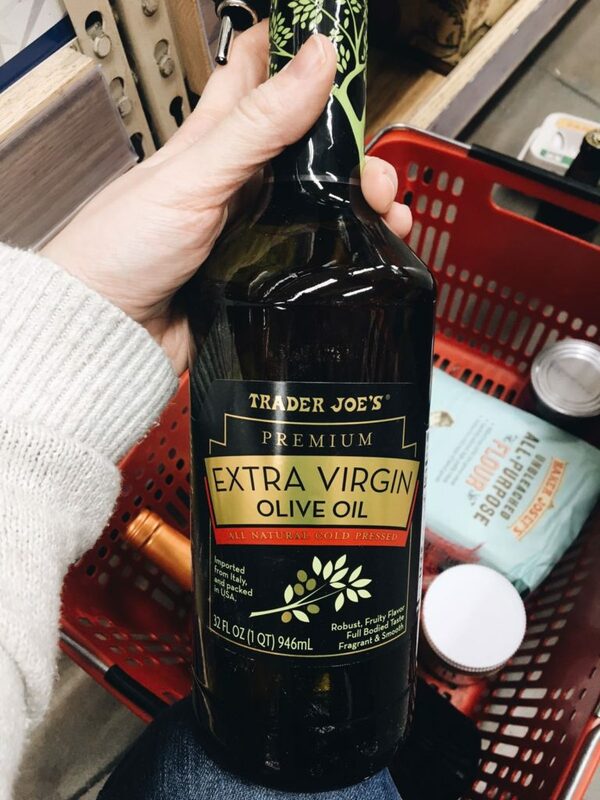 We love this olive oil. Mostly because it has that cute little spout and it lasts us FOREVER. 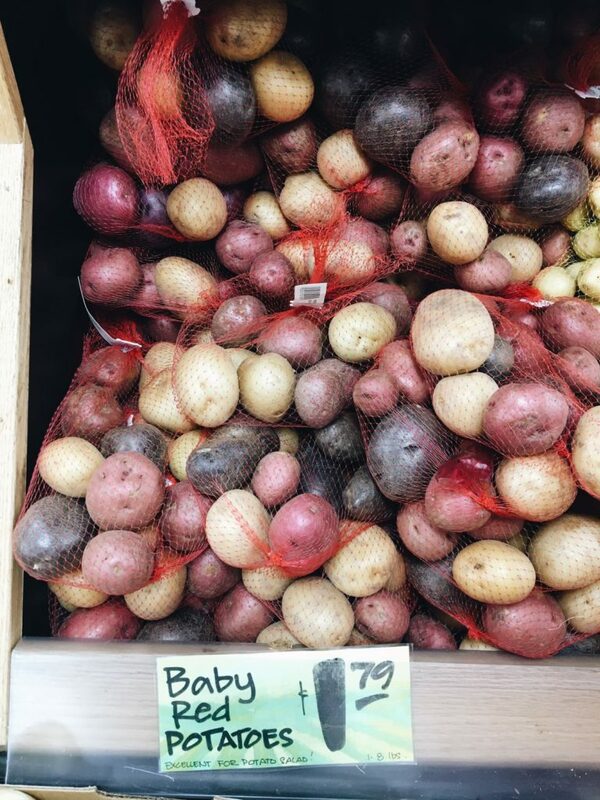 For some reason, we always buy these little baby potatoes here. They’re so cute and I love that they’re multi-colored. We usually roast these with whole cloves of garlic in the oven and serve them with salmon. SO GOOD. Lovelovelove this peanut butter! 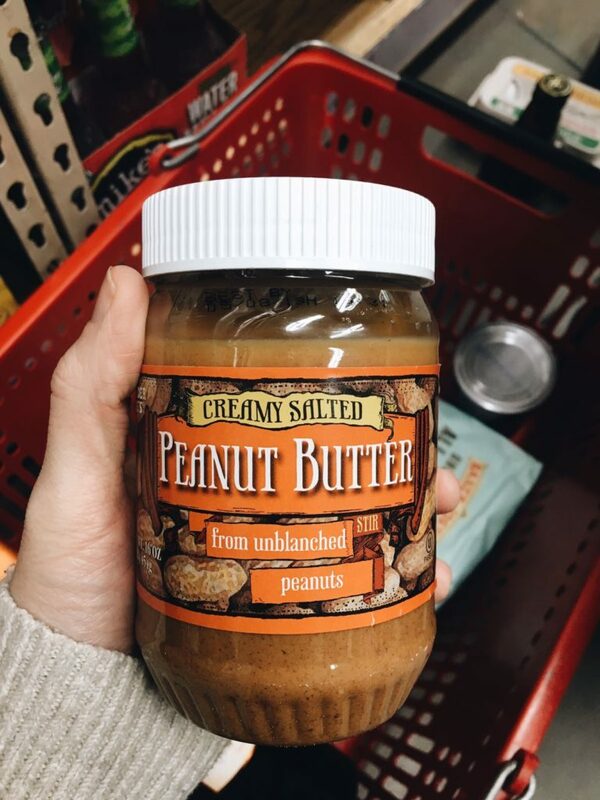 It literally only has peanuts and salt in it. No added sugars or oils. Tha best. And it’s only like, 2.50. Great deal! This salsa <3 makes my heart beat a little faster. 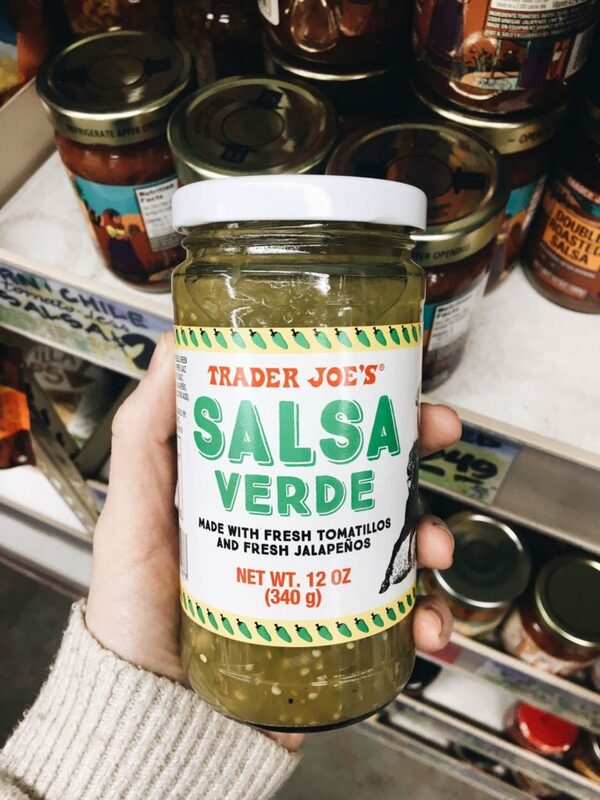 I could eat an entire bag of chips with this salsa verde. Not to mention, it goes great with chicken if you’re feeling a Mexican-vibe for dinner! You have to get these! 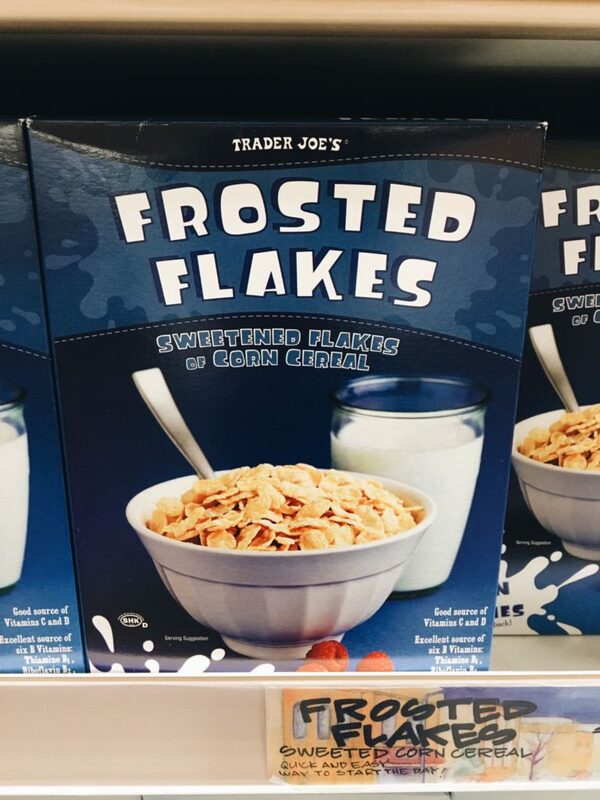 Found in the frozen section. The sweetest creamiest treat. It’s best when you get them during summer and it’s hot out. So refreshing! Oh, and did I mention they’re only 1.99? There are Ben’s favorite treats ever. I always buy them for every holiday because it combines his two favorite food items: dark chocolate and coffee. 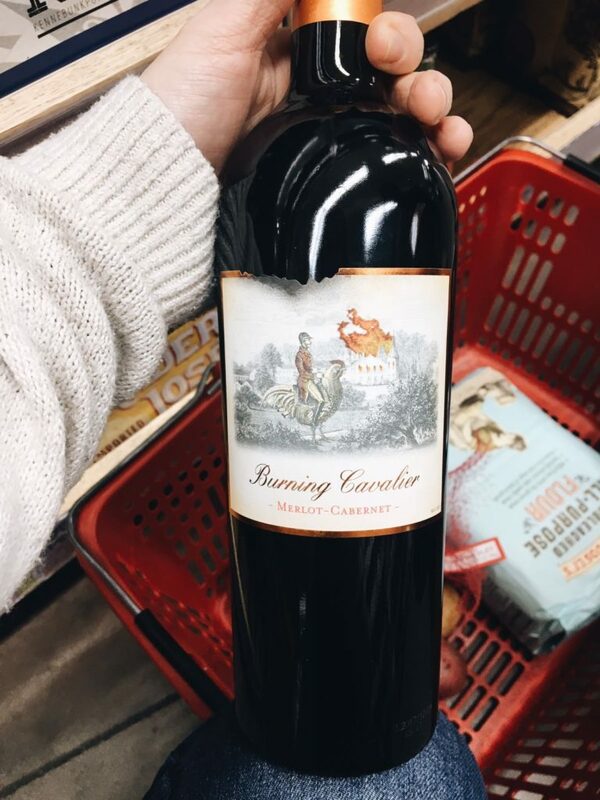 TJ’s is the absolute BEST place to get expensive tasting wine for cheap. Take for instance, this guy. They were sampling it, and it was delicious! Turns out, it was only $5.99. Score! You can also buy beers by the single here which my husband lovessss. 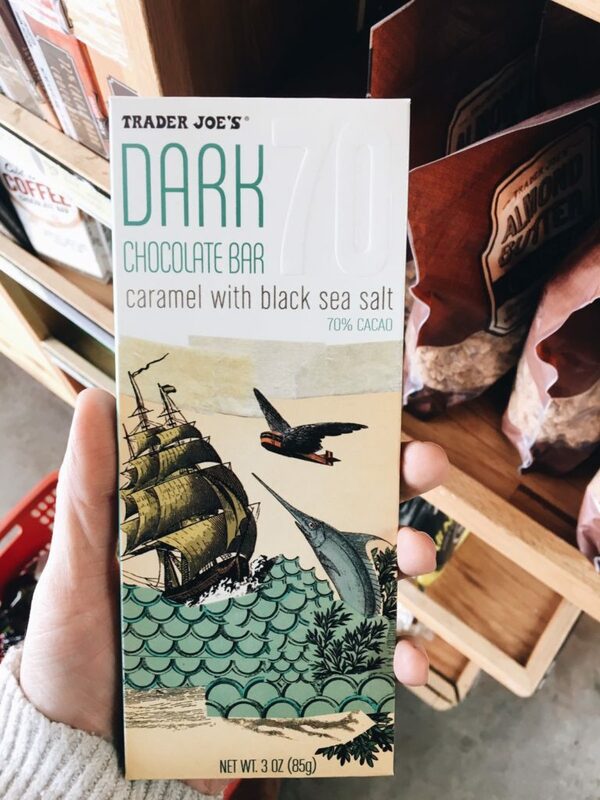 TJ’s always has the coolest chocolate bars on the block. This one has forever remained my favorite. It is filled with gooey caramel and sea salt. Oh my. Last favorite chocolate bar (Lol, I think this entire haul has been mostly sweets…) BUT, y’all. 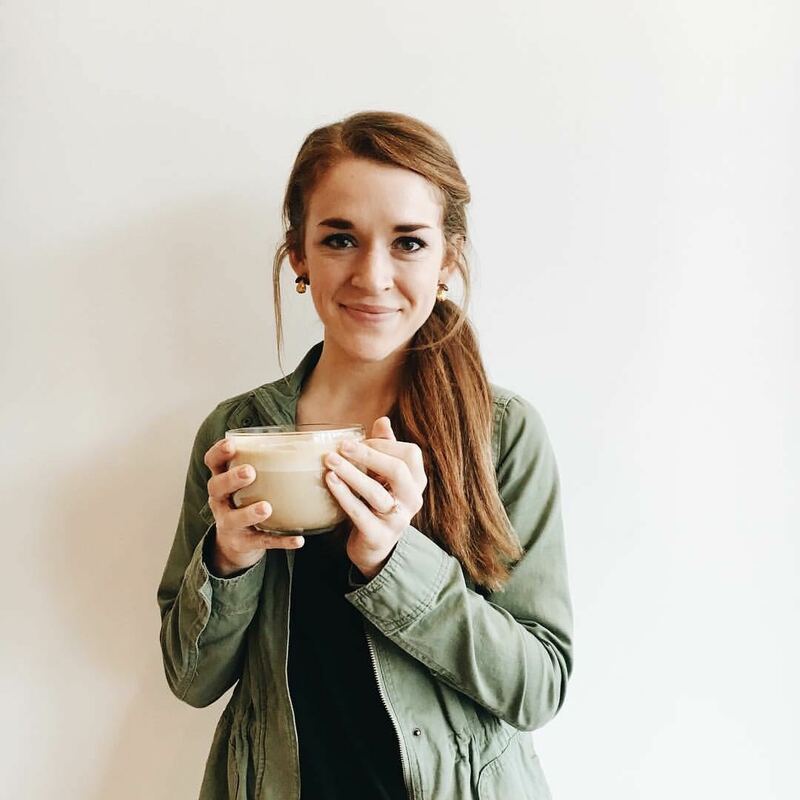 This one’s a good one too if you’re looking for a little caffeine buzz. …And that’s all she wrote! I could literally go on and on but those are just a few of my faves. 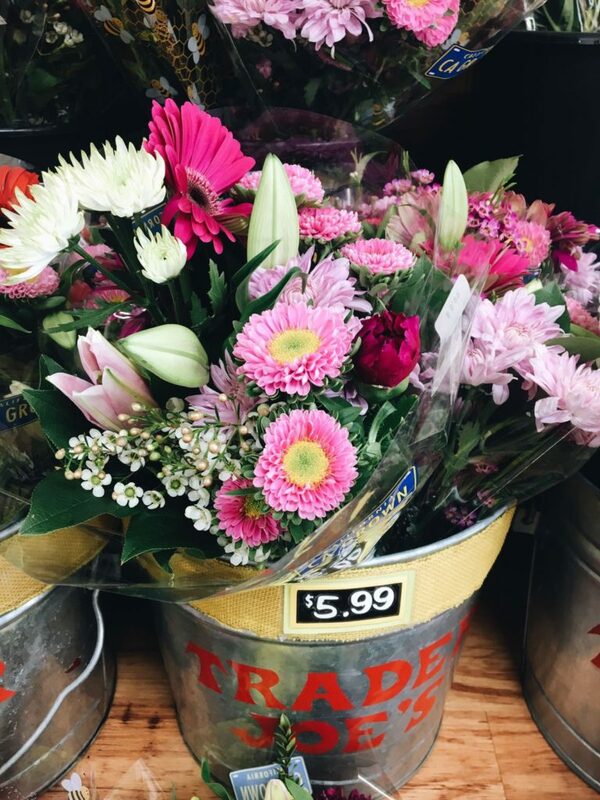 What Trader Joe’s do you go to? Love your posts your doing a great job! Awe you’re so sweet! Thanks Haylie! I love seeing you when you come it to shop! Love your blog too!